The battle against Weekend is near to conclude, but it seems she has still some tricks for Takamiya… enjoy the chapter! Remember to like us in facebook or follow us in twitter. Well, that’s all for now. I’ll update later the shoutbox with news about the next releases or the status of our projects. See ya! I saw this video some days ago on the news of Crunchyroll and forgot to post it here. For those who missed that post, here you have that video, go to the link below for more details. 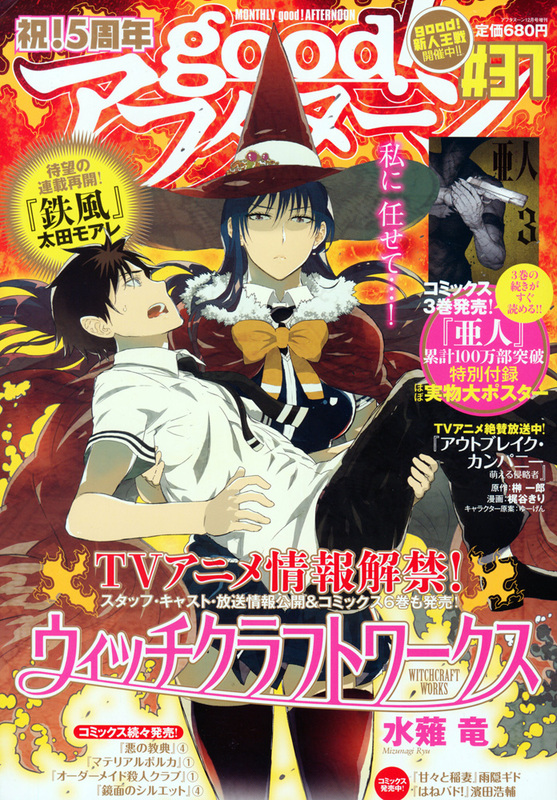 The illustration belongs to the cover of the magazine Good Afternoon#37, shown below. 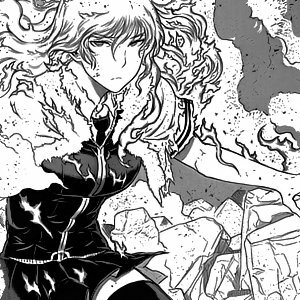 The battle against Weekend continues, here’s more Witch Craft Works for you! WCW26 is scanned and waiting for translation and cleaning. On other things: our next release will be Yuzu chu 1 and Deus Ex Machina 23. Teppu 22 is done 40%, but I still need to join 5 double pages. The plan is to release it next Sunday if possible. Is there any good redrawer around there to help? 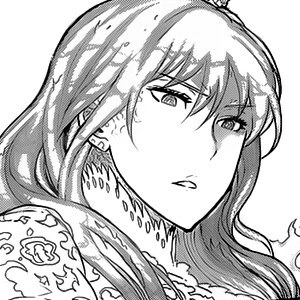 WCW and Teppu have too many double pages and it’s being a pain in the neck. Also, we need translators! we have some series where we need translators to either continue or finish the projects. Finally, if you can, please help us with your donations to keep buying raws. See ya! The anime version of Witch Craft Works is expected for January and there’s already an official website with a trailer, images, and staff info. Go to the link below for more details. 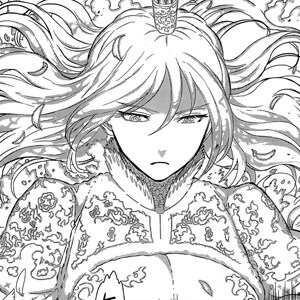 The next chapter is already cleaned, so we are waiting for the translation. Meanwhile, there’s more stuff pending to be released. Our next release is Teppu, followed by Deus Ex Machina and Yuzuchu. The last roll call in our staff was kinda discouraging, we really need help pals! a couple of translators and cleaners would make things easier. Also, if you can, please help us with your donations to keep buying raws. See ya!